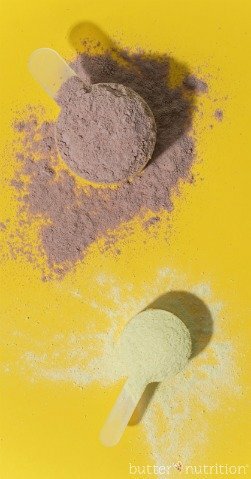 Home » Nutrition » Protein Powder Rankings: Which is Best? By Catherine on October 11, 2018 | Last Updated October 12, 2018 | 2 Comments | Medical Disclaimer | This Post Contains Affiliate Links - I may receive a commission if you purchase through links in this post. Let’s talk protein powder rankings, because sometimes you just don’t want or feel like cooking so you can eat real food. Like at all. But you know you need to eat something or things won’t be pretty. This post is for those moments. When finding something to eat is a feels like a chore that makes your head hurt a little. 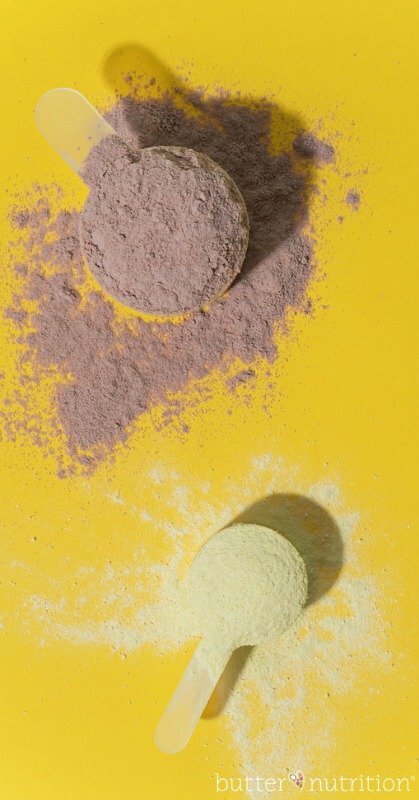 Most protein powder tastes like chalk, quite literally. It’s gross, and most I’ve tried go immediately down the drain after a single sip. But I wanted to give this protein powder thing one more go. Historically, collagen protein has been my go-to protein mix-in for the last 5+ years, but it’s not something that you want to use too much of (more on why coming here soon). I was pretty selective when picking out protein powders to try and rank. Ideally you want something with only a few ingredients, minimal gut irritating additives, and something free of all the common food sensitivities like: soy, whey, casein, and gluten. My reviews are pretty brief because let’s face it, something is either edible or inedible, right?! Ingredients: Proprietary blend (organic pea protein‚ organic hemp protein‚ organic goji berry)‚ organic vanilla flavor‚ organic guar gum‚sea salt‚ organic stevia extract‚ organic whole ground coconut. Shop: Find this one here. Ingredients: Green Food Blend (Organic Wheat Grass, Organic Alfalfa, Organic Barley Grass, Organic Spinach, Organic Spirulina, Organic Chlorella (cracked cell-wall), Organic Broccoli); Protein Blend (Organic Pea Protein, Organic Hemp Protein, Organic Chia, Organic Quinoa); Fruit & Vegetable Blend (Organic Açai, Organic Banana, Organic Beet, Organic Carrot, Organic Goji, Organic Pineapple, Organic Sweet Potato, Organic Raspberry, Organic Rose Hips). Other Ingredients: Organic Peanut Flour, Natural Flavors, Organic Cocoa, Salt, Xanthan Gum, Organic Stevia. Contains Peanuts. Verdict: inedible – absolutely awful. This one fell at the end of the protein powder rankings list for taste. As you can see PaleoPro was the clear winner. I don’t know about you, but I’m willing to spend more on something that’s edible and has well-sourced ingredients. Here’s how I’m using this protein powder as of lately. As you can see I still think it’s important to add more than just protein powder to your shake. Just mix up all of this in the blender and enjoy! I do not ever recommend mixing protein powders in with a spoon, it just never works out too well. 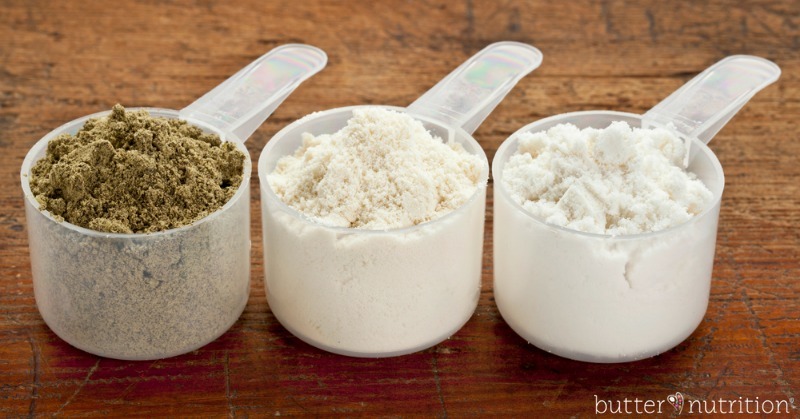 What’s your winner in the protein powder rankings? Please share in the comments! I LOVE making a shake just with water or almond milk, Ancient Nutrition Bone Broth Protein and a scoop of Fruits & Greens from NutriDyn. It’s the perfect mid-afternoon energy boost that I need!